The Canvas element is a popular HTML 5 tag that can be embedded inside an HTML document for the purpose of drawing and displaying graphics. 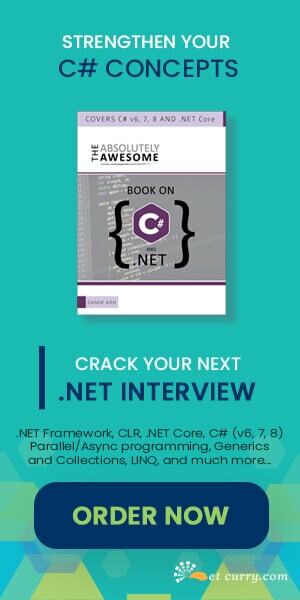 In this article, we will see how to use the HTML 5 canvas element in an ASP.NET Page to draw shapes and save them to an ASP.NET Image object. Let’s get started. Open Visual Studio 2010/2012 and create a blank ASP.NET Website. Now add a page ‘default.aspx’ to the site. Set it’s target schema for validation as HTML 5 by going to Tools > Options > Text Editor > HTML > Validation. If you do not see the HTML 5 option, make sure you have installed Visual Studio 2010 Service Pack 1and Web Standards Update for Microsoft Visual Studio 2010 SP1. Declare a HTML 5 canvas element of dimensions 400x400, add a Save button and an ASP.NET Image element to the form. fillRect(float x, float y, float w, float h) – where x & y represent the upper-left corner of the rectangle and w & h represent the width and height of the rectangle you want. fillStyle = “rgba(R, G, B, V)” - we will fill color in this rectangle by using the fillStyle attribute. As you might have guessed, the RGB stand for red, green, and blue values (0–255) of the color you’re creating. ‘V’ represents the visibility factor 0 & 1, where 0 indicates invisibility, and 1 indicates visibility. We get a reference to the Canvas from the DOM by using getElementById (you can use jQuery code too, but I will stick to the old getElementById for now). We then ask the Canvas to give us a context to draw on. This is done by using the variable context that sets a reference to the 2D context of the canvas, which is used for all drawing purposes. The code is pretty simple. We are passing some RGB values and drawing rectangles of width 70 px and height 90px. Check the definition above for fillStyle and fillRect to understand the code better. If you want to save this drawing, you will have to set the source of an image object to the canvas data. From there, a user can right click on the image to save it to their local computer. A better way would be to be able to save the image directly to your server or your database. 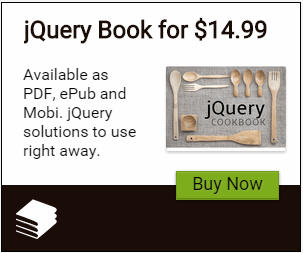 We will see how to do this in an upcoming article using jQuery.ajax and web methods. Come sempre manca un pezzo!!! Come si salva l'immagine lato server?! ?